It is a commonly held theory is that water is the enemy of wood floors. Well, when water or excessive moisture attacks the wood from beneath, that theory holds true. However, surface water or moisture can be used to your advantage. Thoroughly vacuum up any dirt, particles, salt, etc. Next (don’t be afraid), moisten a sponge mop in a bucket of clean water. Keep it moist, not sopping wet and give your floors a bit of a sponge bath. Take the extra effort to towel dry the floor. This will prevent streaks from forming. If there is a heavy build-up of dirt on your floors, add a bit of white vinegar or a liquid hardwood floor cleaner such as Bona or Shaw brand (we carry these) to the bucket of clean water. Never use any wax or oils on your hardwood floors. There you have it. 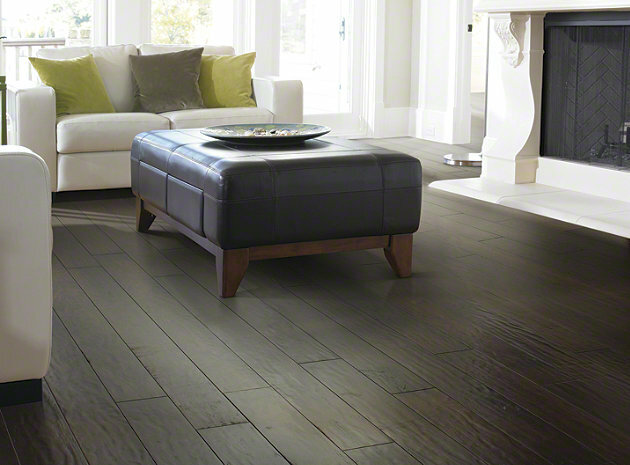 A simple and comprehensive list of how to keep your wood floors clean in the winter. If you have any other questions about your wood floors, feel free to contact us! This entry was posted in Flooring, Flooring Care, Wood and tagged Floor and Home, flooring, Hoffman Floor and Home, Park Ridge, Park Ridge New Jersey, Park Ridge NJ, Pascack Valley, Pascack Valley New Jersey, Pascack Valley NJ, Westwood, Westwood New Jersey, Westwood NJ, winter, wood, wood floor care, wood flooring.